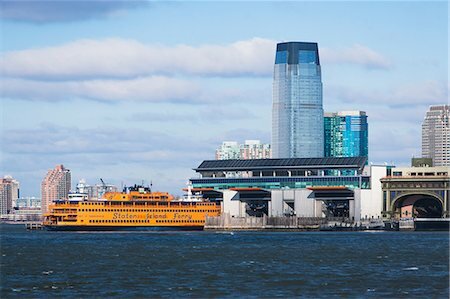 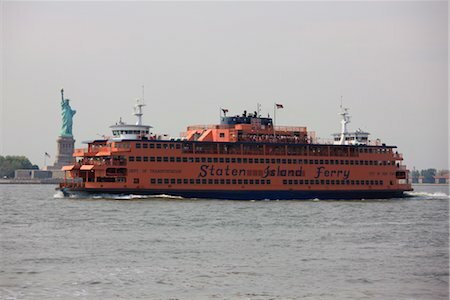 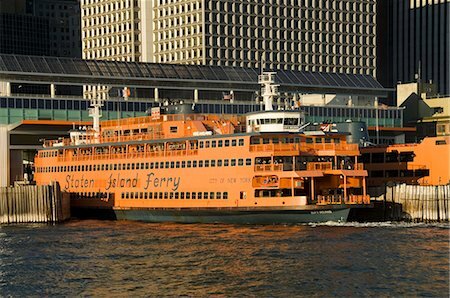 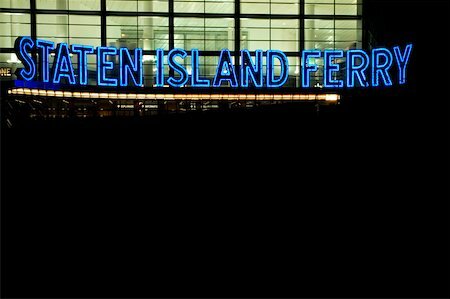 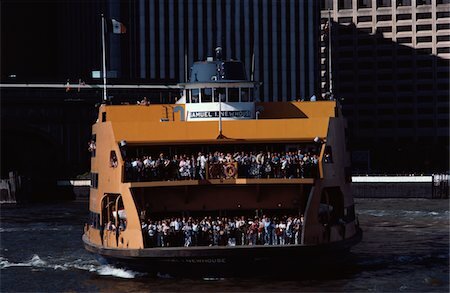 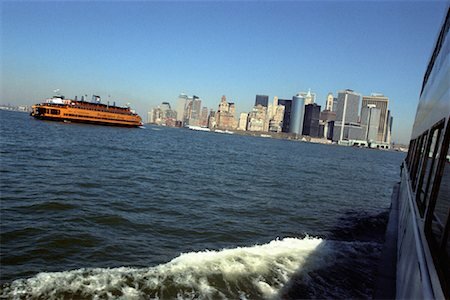 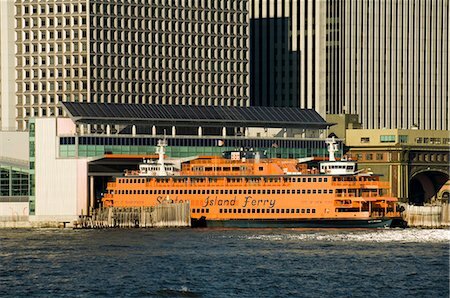 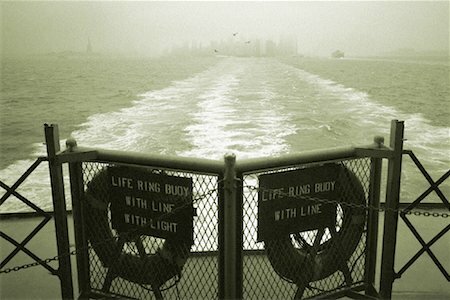 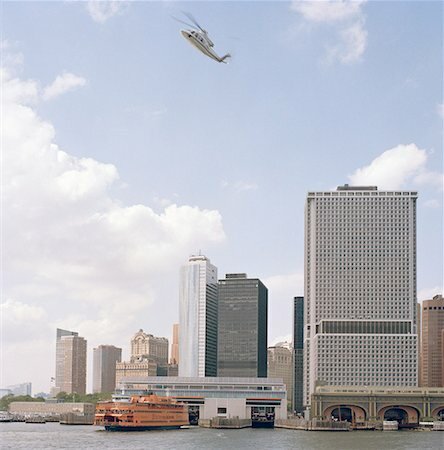 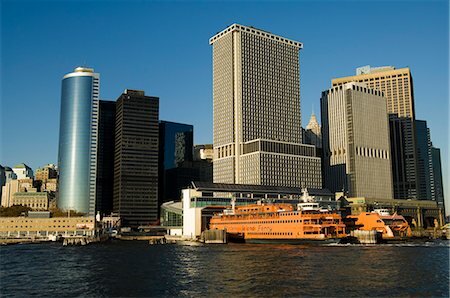 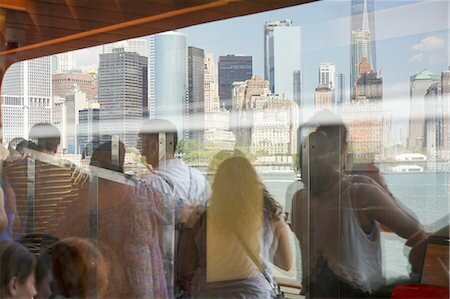 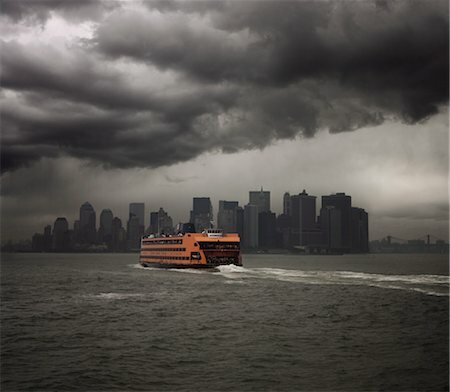 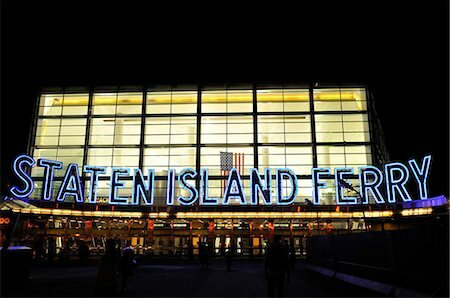 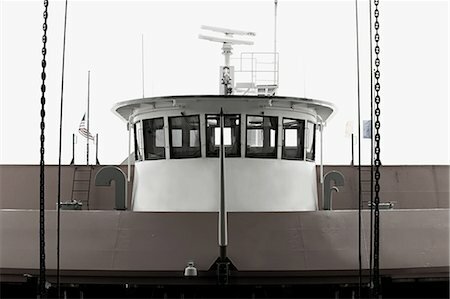 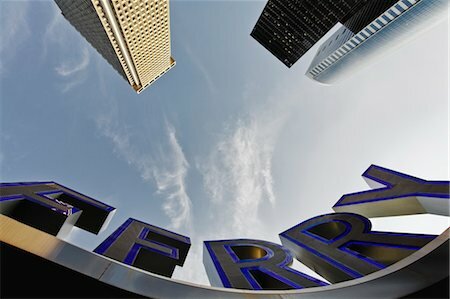 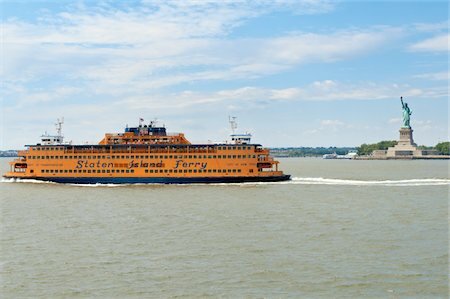 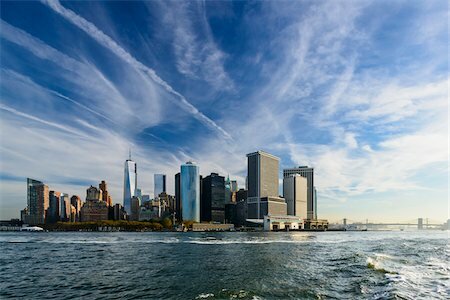 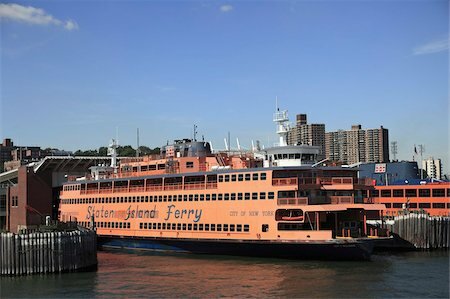 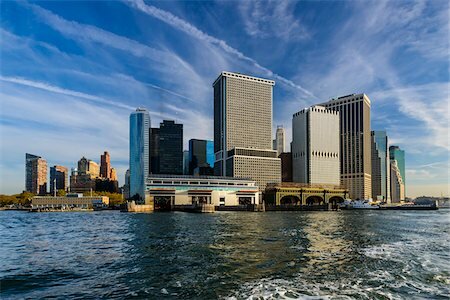 The Staten Island Ferry leaves downtown New York city, New York, USA. 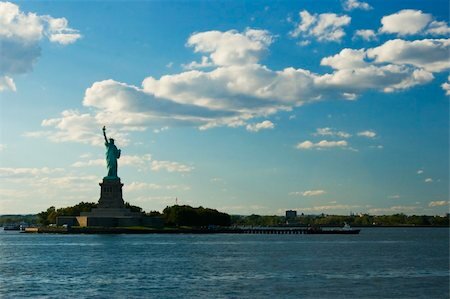 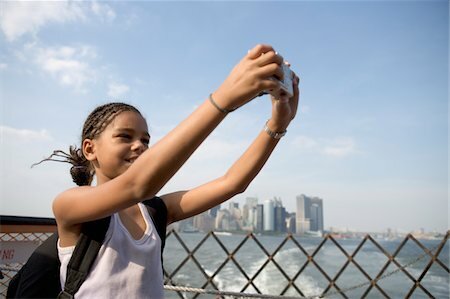 The Statue of Liberty on Liberty Island, just south of Manhattan,New York. 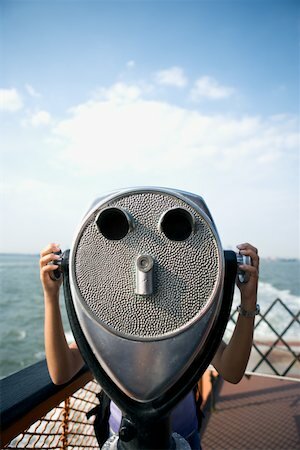 The statue faces a smaller twin statue located in the Seine river in the middle of Paris, France. 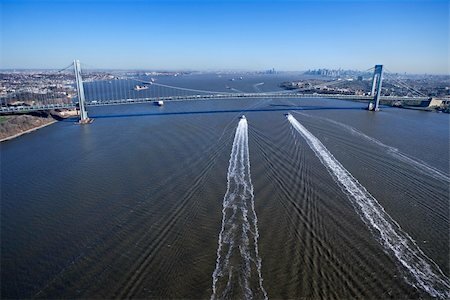 Aerial view of New York City's Verrazano-Narrow's Bridge with boats in water.